Racialized workers in Ontario are significantly more likely to be concentrated in low-wage jobs and face persistent unemployment and earnings gaps compared to white employees — pointing to the “uncomfortable truth” about racism in the job market, according to a new study. 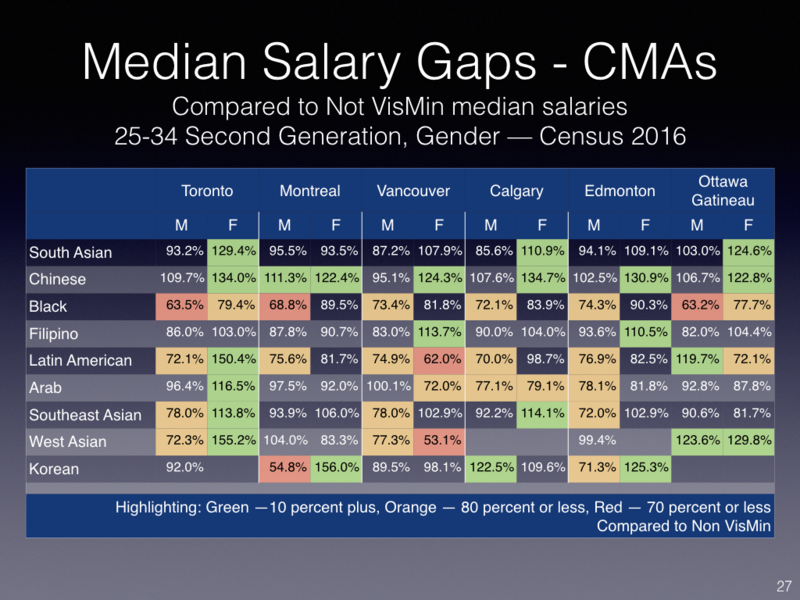 The study from the Canadian Centre for Policy Alternatives found that women of colour are the most disadvantaged in the province’s labour market: they experience higher unemployment rates than all other groups and earn 58 cents for every dollar that a white man makes — a gap that has improved by just five cents since 2006. “A policy of approach of benign neglect is not going to be sufficient to ensure that all Ontarians’ talents, whether they are racialized or non-racialized, are fully utilized,” she said. Racialized Canadians now make up 29 per cent of the Ontario population, compared to 23 per cent in 2006 — meaning that job market barriers impact a larger demographic. “It has negative impacts on the individuals that are discriminated against, but it also has a negative impact on our overall economic activity and efficiency,” Block said. The study, being released Tuesday, is based on Statistics Canada census data and shows that racialized communities in Ontario face higher unemployment rates than non-racialized workers — but also have higher participation rates, which measures how many people are either employed or actively looking. Block said that indicated that despite putting “similar effort” into working or finding work, racialized workers are less likely than their white counterparts to actually get a job. Racialized women had the highest unemployment rate at 10 per cent, compared to 8.7 per cent for racialized men, 7 per cent for non-racialized men and 6.4 per cent for non-racialized women. Employment dipped for all groups since 2006, showing an “overall deterioration in labour market conditions,” the report found — driven in part by the impact of the loss of middle-class manufacturing jobs over the past decade. The erosion of traditional middle-class industrial jobs saw a “sharper deterioration” in conditions for men, particularly for white men. Non-racialized men’s unemployment rates increased by 1.4 per cent since 2006, compared to 0.9 per cent for racialized men. But the study showed that women, especially women of colour, are still significantly more likely to be concentrated in low-wage jobs. Racialized women were 25 per cent more likely to be working in occupations in the bottom half of the income distribution than white men. Racialized men were less likely to be in low-wage occupations than women, but more likely than white men. “I think that tells us that is still a very large gap over that 10-year period and that gap has remained despite the hollowing out of middle-income jobs and particularly manufacturing jobs,” Block said. That, the data suggests, is untrue: racialized male immigrants earn 70 cents for every dollar that non-racialized immigrant men make, and racialized female immigrants make 78 cents for every dollar that white immigrant women make. Those gaps persisted for second- and even third-generation immigrants. “These findings point to the need for Ontario to deal with the uncomfortable truth that its labour market is not equally welcoming to all immigrants,” the report notes. Outcomes varied for different racialized communities: Black, Latin American, and Filipino workers, for example, consistently had a “large earnings gap despite the length of time their families had been in Ontario,” according to the study. 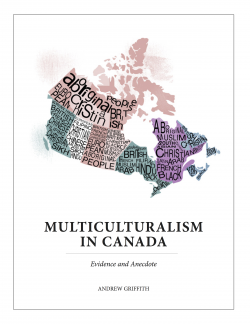 “Addressing the labour market discrimination faced by racialized workers will require a deeper understanding of racism and the different ways it is manifested in the labour market for different racialized groups,” said the report. The findings come as the Ontario government reverses recently enacted labour protections aimed at improving conditions for precarious workers. Bill 47 cancelled a scheduled minimum-wage increase from $14 to $15 in January, removed the right to equal pay for equal work for temporary, part-time and casual employees, and cancelled two paid sick days for all Ontario workers. A report on provincial workplace standards written by two special advisers under the previous government found that visible minorities, new immigrants and women were overrepresented in precarious jobs. “When we are lowering the floor, we are disproportionately having an impact on racialized workers and in particular racialized women,” Block said. “The bottom line: we are still waiting for bold new policies to close the persistent gap between racialized and non-racialized men and women in Ontario,” the report concludes. Source: Study highlights ‘uncomfortable truth’ about racism in the job marketWomen of colour most disadvantaged, with higher unemployment rates, lower pay, according to report by Canadian Centre for Policy Alternatives.